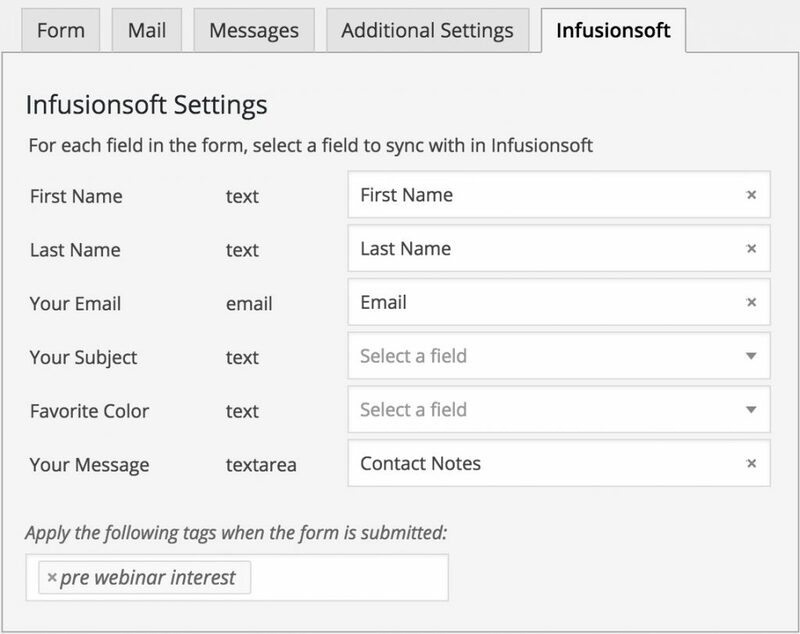 Using WP Fusion, you can send entries from Contact Form 7 to your CRM. Navigate to your contact forms by going to Contact » Contact Forms in your WordPress admin. Click edit under the contact form you want to set up a CRM connection for. You’ll see a tab appear with the name of your CRM. For each field on your form, you can specify a field or custom field to save the data to in your CRM. You can also apply tags to users when the form is submitted. If it’s a new contact, a new record will be created in your CRM containing all of the data present on the form whenever a form is submitted. If an existing contact is found (by email address), the existing contact will be updated.